With another Burnie 10 just around the corner, we explore the science of running training loads and look at ways that you can become fitter, improve your performance and enjoy running whilst lowering your risk of injury. Most of us are aware of the long list of health benefits running brings to the table. Two of the more valued reasons why people run are for the cardiovascular and mental health benefits. If you talk to someone who runs frequently they will be quick to tell you how good they feel, both physically and mentally. But what if you have never got into running, suffer regular setbacks with injury or simply don’t find running enjoyable? What can be difficult at first is knowing where to start, how to approach training sensibly and being able to identify ways to maximise the benefits of running (whilst lowering injury risk). Let’s first talk about training LOAD, an important principle for runners of all levels to understand. Training load refers to the total volume of training that an athlete completes over a period of time. The variables of training load are specifically frequency (how often you run), duration (how long you run for) and intensity (the effort exerted each training session). Training loads influence running performance, recovery, fatigue and injury risk/management. If you have just got back into running after a lay-off, or if it is the first time you’ve attempted running, it is important to start with a slow, short-distance jog and monitor how you feel during and after your jog and also the following day. It is common at this time of year for us at Coastal Physiotherapy to see a peak in running-related injuries, as those training for the Burnie 10 get back into running by doing too much too soon! Having a training plan that gradually increases your training load and allows your body to build tolerance to the demands of running is important to minimise injury risk. A good guide is to increase your total distance or duration by no more than 10% of the previous week. This is a rough guide so listen to your body and if you’re feeling a bit sore add a rest day to your program or try some cross training (swimming, cycling, etc.). Alternatively you can lift some weights for strength-endurance. For a more structured and tailored exercise plan for YOU, it would be in your best interests to see a Physiotherapist or Exercise Physiologist at Coastal Physiotherapy’s Burnie clinic. 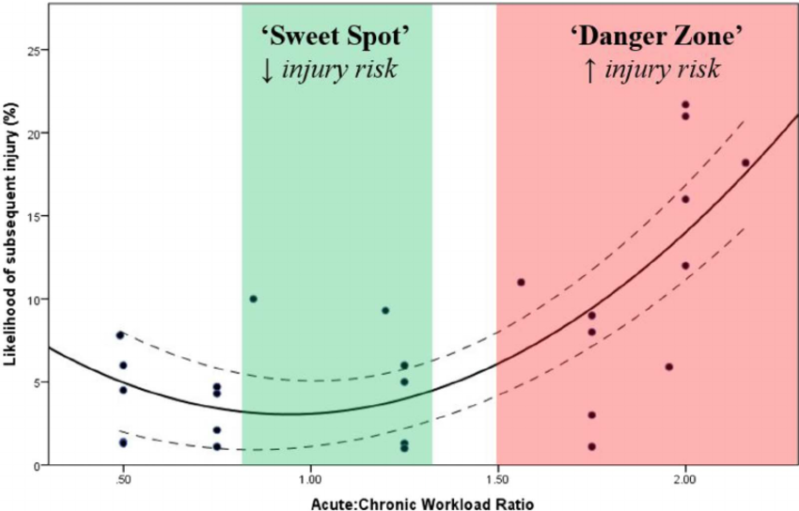 We then can look at the ‘acute:chronic workload ratio’, which is a good predictor of injury risk in runners. If there is a spike in acute load on the average or chronic load, injury risk increases. For endurance athlete (i.e. 10km road-runners) typically ratios between 1 and 1:15 are optimal for good training load management.1,2 To have your training load ratios and injury risk looked at, it is best to have your plan assessed by a Physiotherapist or Exercise Physiologist. Figure Graph showing the ideal acute:chronic workload ratio to avoid injury. each week is a good place to start to prevent a spike in your acute training load. Specificity is a principle of exercise training where the training must be relevant and transferrable to the desired task and associated requirements of that task. Specific training causes adaptations within the body over time that leads to improved performance in the task of interest. For example, if a fitness goal is to improve sprinting ability/time, then you must train repetitively over a short distance, focusing on developing strength, power and speed as these are the requirements of the task (sprinting). Alternatively training aerobic fitness and muscular endurance and covering further distances running is clearly what is necessary to help with longer running events. Specificity must also be considered when looking to lower injury risk. Someone who goes to the gym and trains strength and flexibility may be suitably fit for lifting heavy objects but may not be able to cope with the physical demands of long distance running, increasing the potential for injury when starting out or changing their routine. If you are running the 5km event on Burnie 10 day, what better way to train specificity than to run the Burnie Park Run that is held every Saturday morning at 9AM, leaving from the Burnie Surf Club. This is a free event each week and has been popular despite the cooler winter weather. Let’s face it, running can be boring. Even those amongst the active population would be lying if they said at times they have found it difficult to be motivated to put the joggers on and go for a run. There are often other obstacles such as balancing time with family/children and work commitments and also if you are unwell for a period of time. Set a goal: Having something to work toward is good for motivation and accountability. Running the Burnie 10 in a particular time is a great goal to work towards. If you want to run the 10km at a goal pace/time, that end goal is what’s driving you through the run right in front of you (that you might not want at the time). Change things up: Vary your route, try intervals, and find a trail. Buddy up: Join a running group or have a friend join you and keep each other accountable. 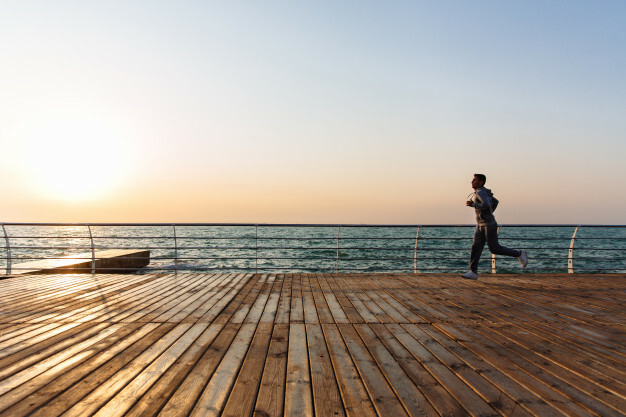 Listen to music: escape life’s worries and chill out to your favourite songs while you run. Music is great for passing the time and research shows that music can enhance performance (note – important to still be aware of your surroundings while listening to music). Apps: There are apps that can motivate and assist people with their running training sessions. When starting out with a running program or getting back into running after a layoff, relevant fitness is normally at a low level. For this reason you may perceive the first few sessions as quite difficult. It is consequently difficult to find motivation to get yourself to train regularly. Despite feeling this way, the key is to keep going and once some fitness returns future jogs will get easier. Following this is when you should look to increase your training load (frequency, intensity and duration) in a gradual manner… and hey presto, you progress! It goes without saying that the common injuries that we at Coastal Physiotherapy see in runners involve the soft tissues of the lower body. With different body shapes, structures and running techniques comes a plethora of varied running-related injuries, however generally these injuries are caused by excessive load stress exerted on the lower body. 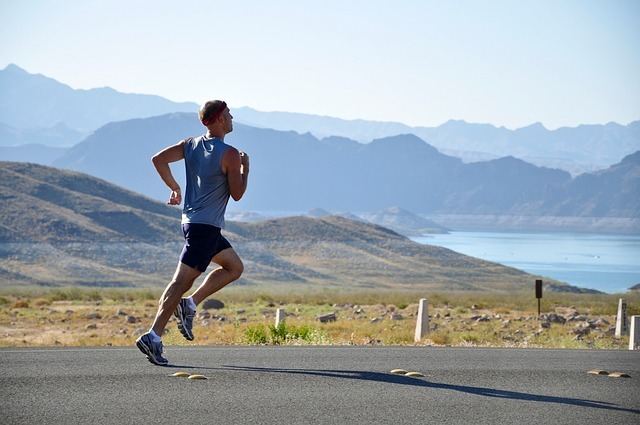 Research has shown that on average 70% of runners will experience injury within a 12 month period. This is why having adequate strength and a good technique when running is so important to reduce injury risk. 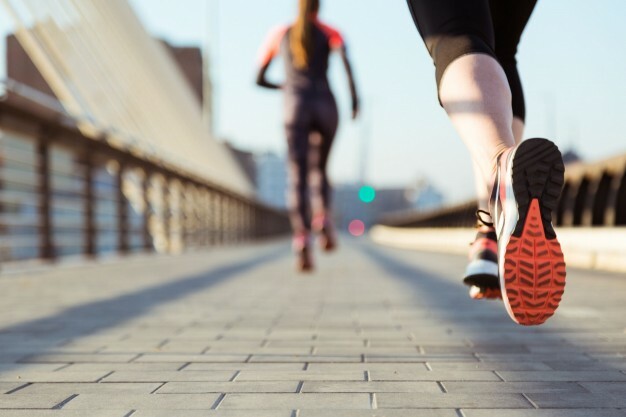 Common running injuries include: iliotibial band syndrome; hamstring strain; patellofemoral pain syndrome (knee pain); achilles tendinopathy; shin splints; calf strain; plantar fasciitis; hamstring strain, and lower back pain. These running injuries are common given the nature of this type of exercise however training variables can be manipulated to lower your chance of developing a running-related injury. Typically injury risk increases when there are errors in your training which generally involve a sudden peak in loading. This can be due to: an immediate increase in total weekly distance; a dramatic increase in intensity, volume and/or frequency; having a few weeks off and then returning to your pre-rest volume and even accumulating too much ‘load’ over a number of months. Manage your training loads. Have a well devised training plan with considerations for the frequency, duration and intensity of your running sessions. If starting or resuming a running training plan, begin at a low/easy level and progress training variables (frequency, duration and intensity) depending on how you tolerate the last session (or week of sessions) that you completed. There are ways of becoming more motivated to maintain a running schedule. Often starting out is the hardest part, however it does get easier as you become fitter and conditioned. Beware of common running injuries which are often due to poor load management in training. If you suffer regular injuries, find it difficult to motivate yourself to go for a run or if you generally need assistance with a training plan, come in and see a Physiotherapist or Exercise Physiologist at Coastal Physiotherapy. 1 Athos. 2018. Reduce Injury Risk by Monitoring Acute to Chronic Ratio [Microblog]. [ONLINE] Available at: http://resource.liveathos.com/applied-sports-science/monitor-muscular-stress-to-keep-you-players-healthy-all-season-0?utm_campaign=sEMG%20for%20sports%20performance&utm_content=66911343&utm_medium=social&utm_source=twitter [Accessed 20 July 2018]. 2 Ryan White. 2017. Acute:Chronic Workload Ratio. [ONLINE] Available at https://www.scienceforsport.com/acutechronic-workload-ratio/. [Accessed 24 July 2018].